Ten days ago, while I was driving to yoga class before work, I was pulled over by a city cop in a construction zone. This is the story about that incident and what I observed/learned afterward while takin' care of business. It was 6 a.m. There was no traffic besides me and the cop. I knew I hadn't been speeding. I couldn't figure out why I was being stopped. I started to get scared about what could be happening; I began shaking, then crying. Thankfully, the police officer stopped me for a valid reason. 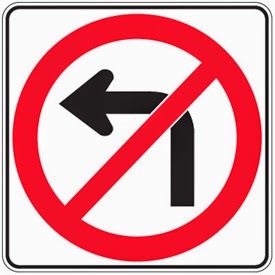 I had failed to see a temporary no-turn-left sign that directed drivers in that lane at Michigan and Monroe to keep going straight or take a sharp right. Unfortunately, when the officer asked the usual question, "May I see your license and registration," I realized that I had failed to renew my vehicle registration back in June on my birthday. I'm guessing it came in the same mailing as the notice that this was the year to renew my driver's license. But I somehow missed the registration renewal slip while congratulating myself on renewing my driver's license way early. The officer definitely noticed I was shaking, crying, then staring at the expiration date for a solid minute before handing the papers over to him. Thankfully, he believed my story -- that I was unaware of both violations -- and he waived the fines and gave me a citation to appear at the courthouse to get everything cleared. I do not take this for granted. As I said, I was in a construction zone, which means the fees would have been doubled if he hadn't been lenient. The week following the incident was a busy one, as usual. On Friday, the last day possible to get the ticket cleared, I shortened my morning workout and headed to the courthouse as soon as it opened at 8:30 so I could get in and out before work. After going through the security checkpoint and through the foyer to the right in the Court Payments Suite, I discovered from a clerk that, before I could get the citation cleared, I would need to go get my new registration from the Secretary of State's office. I suspected that might be the case, and she confirmed. It was a beautiful morning, with dappled sunshine and a cool, gentle breeze. I walked down Ottawa, across Pearl and south on Division to the downtown Secretary of State branch. It's in the exact center of Grand Rapids, where Fulton and Division meet -- a long, sand-colored concrete building attached to the Police Department and nestled lovingly among beds of ... more concrete. The downtown Grand Rapids Secretary of State. I met an Asian-American man in his late 20s or early 30s at the door, which he held open for me. We discovered a line of at least seven people already waiting in the lobby for the SOS branch to open at 9. It was 8:50. I emailed my husband, wrote some notes in my phone, then began chatting with the security guard. "So, you see this every day, right? The line?" I asked. "What's the situation? Is there a bit of a mad rush toward the door when you open it? How do you know who gets to go in first?" I asked. "I tell people to line up in the order they arrived. It's usually a very organized process," he said. "How do people know what order they arrived in if there were several people there when they walked in?" I asked. "Just pay attention to who came after you and stand in front of them," he said. Cool, I can do that, I thought. So I started looking around at my fellow line-waiters. I like lines because they reveal more than you'd think about the people who are waiting. One woman who came in after me, when she saw there was a line, humphed, put her hands on her hips, exclaimed in annoyance and stormed back outside. A woman sitting on the floor by the door seemed determined to be as close to the SOS entryway as she could so that she'd be sure to get in there first when the clock struck 9 a.m.
A man in the back corner was quietly reading a newspaper while sitting cross-legged on the floor. Several men were leaning with their backs against the windows that face Fulton Street. They stared at the floor, up at the ceiling, or occasionally checked their watches or phones for the time. Some people kept shifting from one foot to the other and sighing. Some stood still, lost in thought. Others, like me, were checking out the folks in line and trying to figure them out. I noticed that everyone, no matter their line-waiting behavior, jumped to alert mode whenever the security guard walked over to the SOS doors to let another employee in. "About three more minutes," he'd say, noticing everyone's expectant gazes. Finally, the guard let us in. The Asian-American guy insisted I go in first, even though he had arrived at the same time I did and would have gotten inside first if he hadn't held the door for me. "What are you here for?" he asked. "Getting my vehicle registration renewed," I said, "What about you?" "I just moved to Michigan from Oregon, and I have to get a new driver's license," he said. We chatted for several more minutes before our numbers were called. Turns out, he lived in Portland, where my sister- and brother-in-law now live. I couldn't fathom his answer when I asked why he moved to Michigan. He said he and his wife have family in New Mexico, Oregon and Arizona, but they didn't want to live in any of those places, so they picked Michigan because it would be "still fairly close" to family in Arizona. It's all in your perspective, I guess. I would never have thought to describe the Southwest and the Northern Midwest regions as being "fairly close" together. But I hope he likes Grand Rapids. Besides having family in Oregon, we had other similarities. He and his wife met five years ago on an app called Message in a Bottle. My husband and I met five years ago online because I'm a blogger/blog reader, and he's a blog commenter and also a writer. My new friend and I compared notes about being of the millennial generation and having these situations where you can form relationships with people in ways you never would have been able to in the past. It calls for a lot of discretion/wisdom, and a lot of tolerance from loved ones who don't feel comfortable with the idea. It's a weird world we live in. After my business was concluded at the Secretary of State, I walked back to the courthouse and cleared my ticket, this time with no hitch. I found myself marveling at the efficiency with which things happened for me once I knew what to do. On my way out of the courthouse, though, I overheard an exchange that gave me pause. "It's just not fair. It's not right," a young man said to his friend as they walked out of the courtroom in street clothes. "I know man, but he'll get his. He'll get what he deserves in the end." I've been thinking about that exchange ever since. I think a lot about how survival can be so relatively easy for some people and so difficult for others. It reminds me of a quote I heard recently that was attributed to Plato, but which scholars say was written by Scottish author and theologian Ian Maclaren: "Be kind, for everyone you meet is fighting a hard battle." If I learned anything from my traffic violation and subsequent courthouse and Secretary of State visits, it's the truth of that quotation. I don't really know anything about the police officer, clerk, security guard, Asian-American man or two friends outside the courtroom. But I don't need to know anything about them in order to be kind. I don't ever want to lose sight of that. Have you ever had a crazy, fun, odd or infuriating experience while visiting a government office? I'd love to hear about it. You may leave a comment below or share it at my Facebook Community page.